FRESNO, Calif. (KFSN) -- According to the Fresno Police, a man has been arrested on multiple counts of felony child abuse in connection with the death of a 6-month-old baby. Police said they received a call from Community Regional Medical Center for a 6-month-old infant suffering from severe trauma to the body. When EMS responded to the house where the infant was, the child was unresponsive. CPR and first aid was rendered at the location before the child was transferred to the hospital. Authorities said the child was in grave condition and passed away Friday morning. 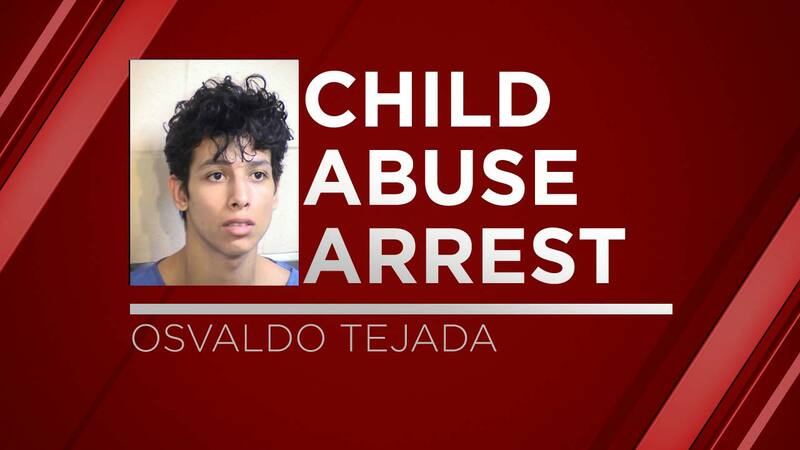 Investigators said they received information that the mother's boyfriend, 20-year-old Osvaldo Tejada, was watching the child. Police said Tejada is not the child's biological father. After interviewing Tejada, authorities said they arrested him on multiple counts of felony child abuse. Police said this is still an active investigation. Anyone with information is asked to contact the Fresno Police Department. Stay with Action News for more on this developing story.